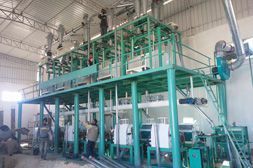 The 30-60ton/d wheat flour machine is steel structure, which means the plansifter is placed on the platform, and the sieved material does not need to be delivered into the mill by elevator but by gravity. This flour mill project design can greatly save fan power, simplify fan net to make it easy to control; the classifying outside sifter can save bolting area. Besides, the steel structure flour mill project also has compact structure, good appearance and easy to install and operate. Cleaning part: this part adopts the cleaning technology of 2 times of sieving, 2 times of threshing, 2 times of destoning, one time of wheat brushing, 2 times of magnetic separation and one time of wind suction. It is mainly composed by raw wheat cleaning process and net grain cleaning process, which can fully guarantee the quality of wheat when feeding into the flour mill and also the working environment. 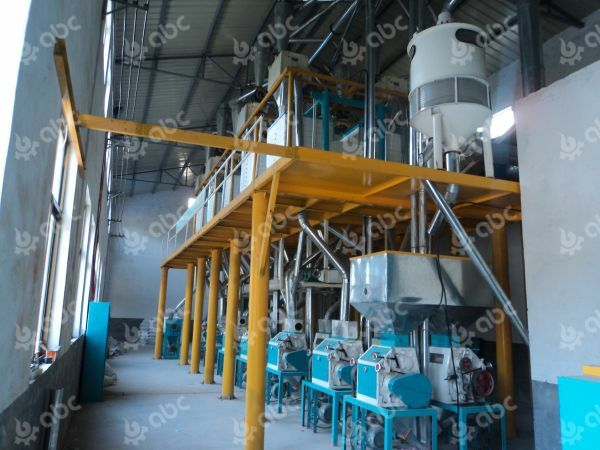 Wheat flour milling part: this section adopts the milling technology of 4 bran milling, 3 core milling and 1 slag milling. 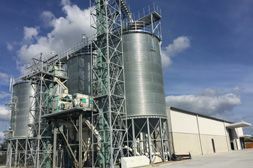 Especially the using of classifying screen can efficiently increase sieving area, which fully assures flour quality, productivity and output rate. 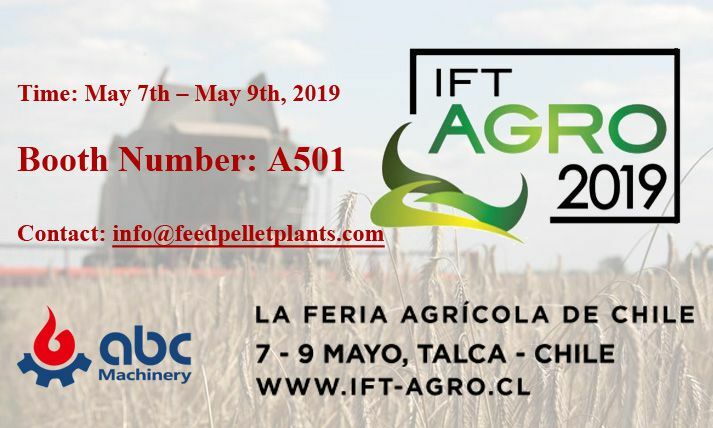 Below is a video of a 30TPD wheat flour mill plant in Chile. Silent running with little vibration, which produces little or even no noise, meeting environmental requirement. This flour mill project has simple but brief structure, which is also easy to operate and maintain. It needs low investment but will bring high return. All the contacting parts are made from stainless steel that meets food hygiene standard and there are no corrosion hazards.